So I make no secret about Loving Amanda Jean over at Crazy Mom Quilts. I love her scrappy style. I love how much she gets done. I love how much I learn from reading her blog. She wrote a post this week about starting a new quilt by completing one block a day and it resonated with me. I tend to think in whole quilts, all or nothing type work. But the thing is I then get easily overwhelmed and end up getting little if anything done. So I'm trying something new and different (for me anyway). I love these GIANT string blocks, making them just makes me happy so my intention is to make one a day. It feels almost like sewing as an act of daily meditation. 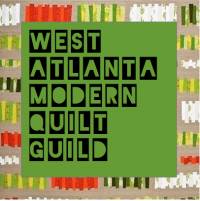 Thanks to Kim Nikkles who showed her amazing huge string quilts at the West Atlanta MQG meeting and started this obsession of mine! You are welcome Darcy!!! Your blocks look fantastic! And I am always happy to trick people ... I mean introduce people to the obsession ... I mean addiction ... I mean lovely skill of making string quilts. Sewing string blocks is sewing meditation at its best!